The struggle to find good all-natural hair products is SO REAL. "My hair colourist told me this weekend that the sulfate-free, paraben-free, natural shampoo I&apos;ve been so proudly using was to blame for stripping my colour and making me brassy. Gah! Do you happen to know of any colour-safe AND generally health-safe shampoo options?" Man, this sounds familiar! 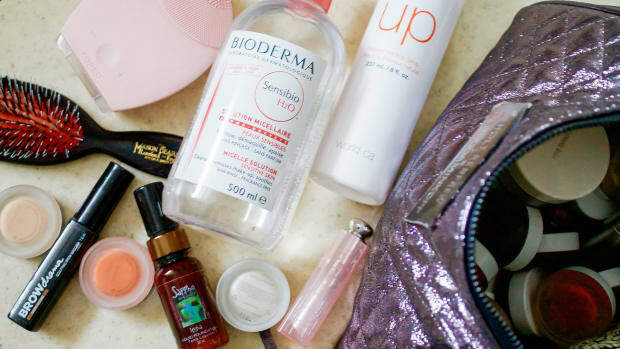 When I decided to give up sulfate-based shampoos and silicone-based conditioners a couple years ago, I was at a complete loss to find a range that measured up to my beloved Kevin Murphy, Oribe, Shu Uemura and Kérastase. Sure, I could find plenty of natural (and pseudo-natural) lines at the health food store and even drugstore. But natural haircare that is colour-safe and formulated to a professional salon standard? It&apos;s slim pickings out there! That&apos;s why I&apos;m so happy I stumbled upon World. World is an eco-friendly hair salon in downtown Toronto (where I&apos;d be getting my hair done if I wasn&apos;t already so devoted to my Tony and Bill). 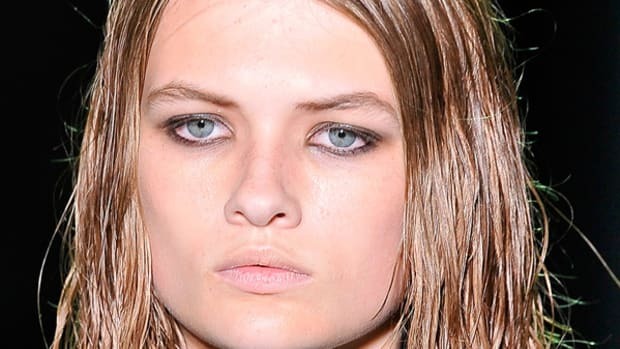 It&apos;s also the name of a haircare line launched in 2001 by owner Brian Phillips, a celebrity hairstylist who has worked with Jessica Stam, Kim Cattrall, Nora Jones, Joni Mitchell and k.d. lang. Brian was inspired to create the products after contracting a severe case of contact dermatitis from the perm solutions he was applying to his clients&apos; hair. His research on the dangers of toxic chemical exposure led to a new mission of doing hair without harming people&apos;s health. Originally, his line was only used in-salon, but in 2015, it became available for purchase at World.ca (where they ship worldwide) and Well.ca. I understand more locations are in the works! 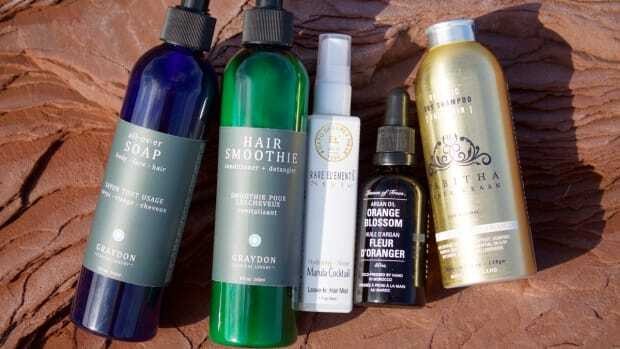 It&apos;s all biodegradable and cruelty-free, and unlike most haircare ranges that are segmented for various hair types, World products work on everyone. Best of all, they&apos;re formulated to Brian&apos;s high professional standards. 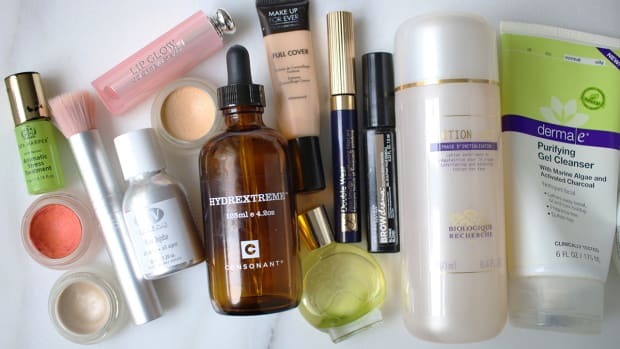 You don&apos;t have to worry about these products fading or changing your colour, or causing other damage. In fact, I&apos;ve been told that my hair condition IMPROVED after switching to this line! World Clean Hair and Skin Cleanser. 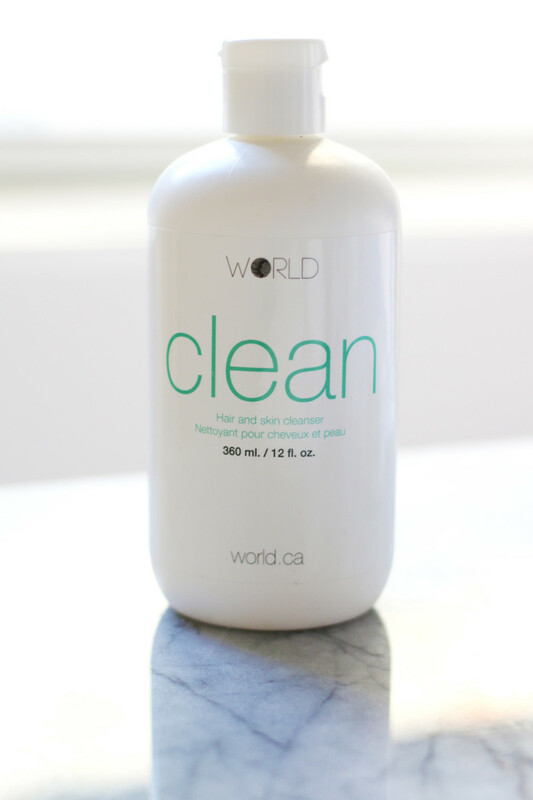 World Clean Hair and Skin Cleanser is a gentle shampoo that can double as body wash, bath suds, shaving gel, face wash or makeup remover. It is suitable for all hair types, and I love that it is clear, not creamy. I find so many natural shampoos are too heavy, but this one is perfect: lightweight, but still nicely hydrating. It&apos;s sulfate-free, so it won&apos;t lather right away—you will need to take your time distributing it evenly over your scalp. After that, massage or leave in for three minutes, or shampoo twice, before rinsing out. World Repair Deep Conditioner For Hair. 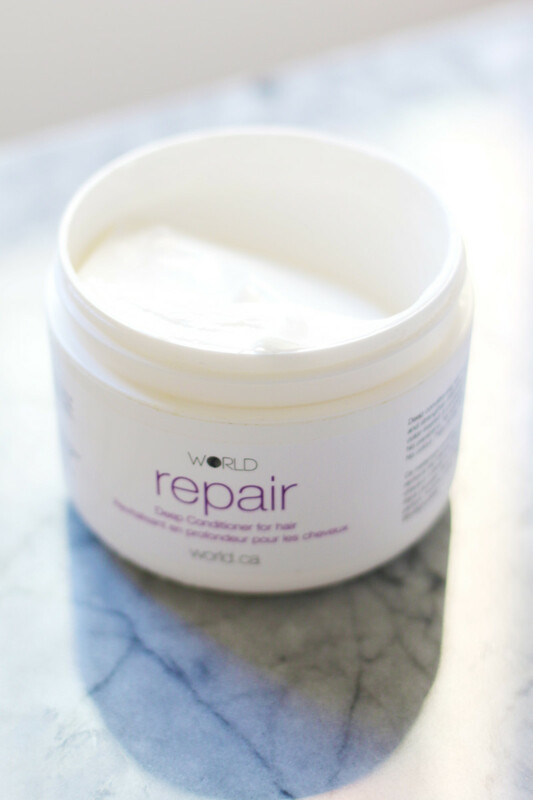 World Repair Deep Conditioner For Hair is an intensive conditioner that delivers moisture and softness to the hair, and makes it easier to manage. I&apos;ve never used a conditioner I love as much as this one! It has the most amazing light whipped texture. I actually use it as my regular conditioner in the shower, and I swear that it has transformed my formerly dry ends. Silicone products were only coating my hair, and giving the illusion of smoothness, whereas these nourishing ingredients are actually getting into the hair shaft. To use it as a treatment, you&apos;re supposed to leave it on damp hair for 15 minutes before rinsing out. If your hair is very thirsty, you can comb it through as a leave-in conditioner. Ingredients: Aqua (Purified Water), Certified Organic Blend of Calendula Officialis (Marigold), Arctium Lappa (Burdock Root), Urtica Diotica (Nettle Leaf), Rosemary Officialis (Rosemary) Coconut Fatty Acid, Cetyl Stearyl Alcohol,(plant source) Aloe Barbadensis (Aloe Vera) Extract, Tussilago Farfara (Coltsfoot) Extract, Symphytum Officinale (Comfrey) Extract, Cetrimonium Chloride, Panthenol (Vitamin B5), Oatmeal Protein, Citric Acid, Simmondsia Chinesis(Jojoba) Seed Oil, Anthemis Nobilis(Chamomile) Oil, Amygdalus Dulcis (Sweet Almond) Oil, (Vitamin A), Tocopheryl Acetate (Vitamin E), Ascorbic Acid (Vitamin C), Hydroxymethylglycinate. World Ocean Texturizing Salt Spray. 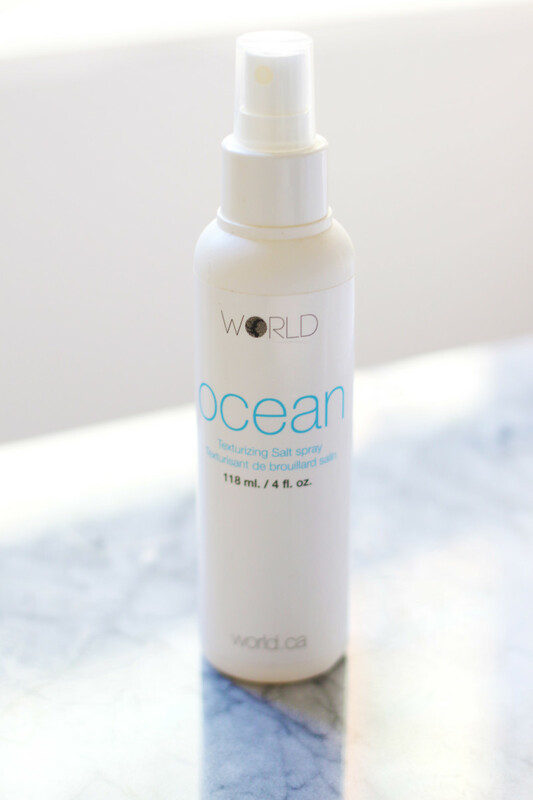 World Ocean Texturizing Salt Spray is an organic salt spray that gives texture, volume, hold and shine while still leaving the hair soft and touchable. And clean! I used to be into all those commercial "beach hair" sprays, but now I can&apos;t bear them—they make my hair feel dirty and are too fragranced. This product may not have quite as strong hold, but you can get a similar look, and your hair still feels fresh. There are a few ways you can use it. On damp hair before diffusing with a blowdryer, it will add fullness and softness. For more volume, you can spray it right at the roots and blow dry them straight, lifting up from the head. And if you want a super-wavy, chunky finish, spray the product liberally through your hair and scrunch. Ingredients: Organic hydrosols of Lavendula Angustifolia (Lavender) and Rosmarinus Officianalis (Rosemary), Sodium Chloride (Dead Sea Salt), Essential Oil blend (Lemon, Mandarin, Orange, Peppermint, Cedarwood ), Ascorbic Acid, Rosmarinus Officianalis (Rosemary) Antioxidant. World Up Natural Holding Spray. 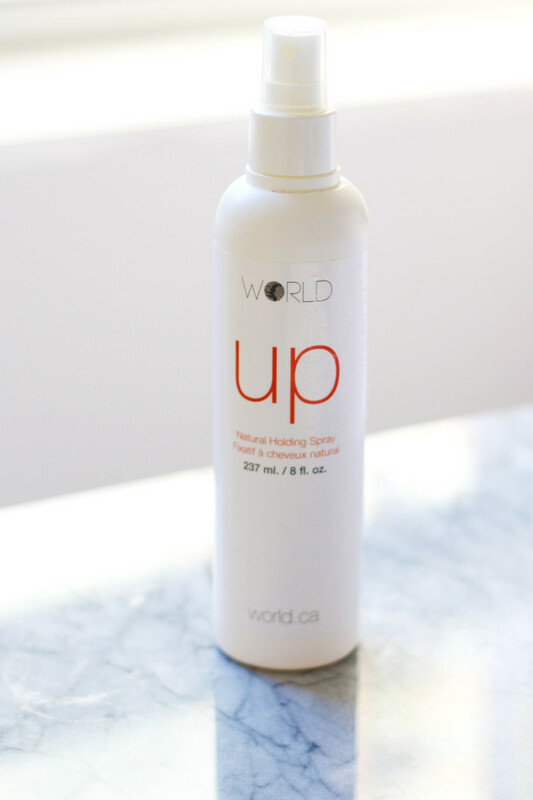 World Up Natural Holding Spray is a sugar-based hairspray that is aerosol-free and alcohol-free. I&apos;d been looking for a product like this for a long time, and let me tell you, it works. You get gentle hold and control, without leaving your hair crunchy or crispy. And no flakes! The one thing to be aware of is that it can feel a bit damp for a few moments after you spray. Just brush or scrunch the hair into place and let it dry down. Alternatively, you can spray damp hair from roots to tip before you blow-dry, to add control to your style. 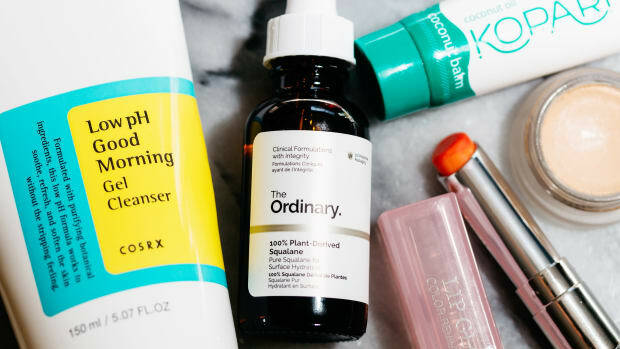 Ingredients: Deionized Water, Sucrose, Aloe Barbadensis Leaf Juice, Leuconostoc/Radish Root Ferment Filtrate, Sea Buckthorn oil, Citrus Grandis (Grapefruit) Seed Extract. World Buzz Hair and Body Polish. 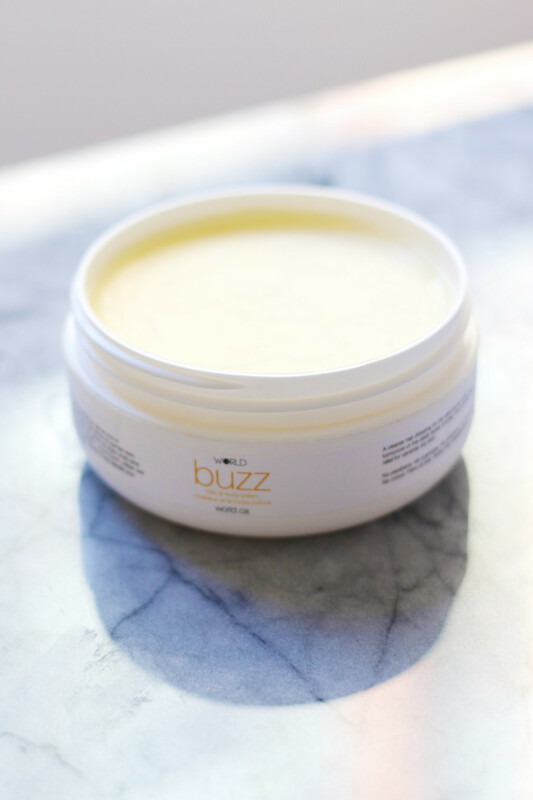 World Buzz Hair and Body Polish is a styling pomade that can also be used as a reparative moisturizer for dry skin. With just four natural ingredients, this is a wonderful alternative to commercial styling creams and gels. I&apos;ve had success using it to create a smooth, sleek, defined part. It&apos;s also great for taming frizz on your ends. Another use is as a finishing product, smoothed through the lengths to keep straight, long hair looking smooth and shiny. On short cuts, you can apply it to damp hair as a root-lifter. And it&apos;s an incredible product to keep curls of all lengths looking bouncy and hydrated. Ingredients: Beeswax, Organic Jojoba Oil, Virgin Coco creme and Organic Olive Wax. World hair products are all-natural and salon-quality. As you can tell, I just love everything about this line! It&apos;s the cleanest haircare range I&apos;ve found, yet it&apos;s also extremely trustworthy, since it&apos;s formulated to professional standards. How perfect is that? 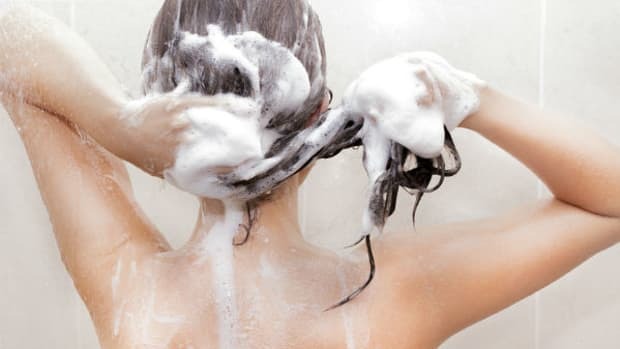 I also appreciate the back-to-basics approach of having a shampoo and conditioner that work for ALL hair types and textures (and other body parts, too!). Even the styling products are multi-purpose, since you can use them on wet or dry hair to achieve everything from texture to volume to hold. 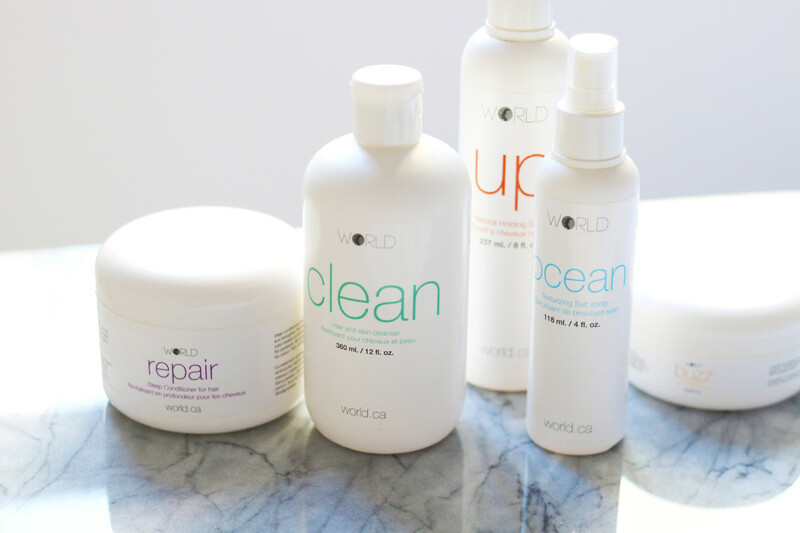 If you&apos;re trying to quit sulfates and silicones in your hair routine, World is a line you MUST check out! 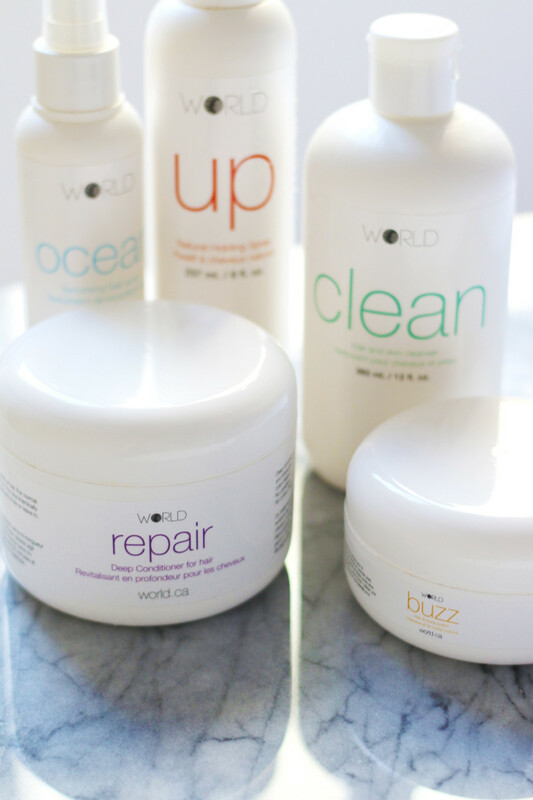 Have you tried any World hair products?